When a tooth extraction procedure is done, many changes in the socket could be detected during the next twelve months of the surgical intervention. It is important to consider the fact that the width of the exposed ridge would be reduced up by 50% more exactly, 5 to 7 mm. After three months of the surgical treatment, the therapist could notice that the two-thirds of this reabsorption have occurred during this period of time. All these changes indicated both vertically and horizontally are awaited in hard and soft tissue. When there is a further bone loss in a horizontal way and also increased resorption of the vestibular cortical thickness, the doctor should start to make an action. According to the outcome of many studies, the process of immediate placement of the implants helps in reducing the alveolar resorption as well as the number of needed surgery procedures and the time necessary to complete the final restoration. However, the medical professional should take into consideration many factors in order to achieve treatment success. This means good implant location, correct gingival marginal position, the thickness and width of the keratinized mucosa, the gingival biotype, the vestibular cortical thickness, and also the size of the gap which is positioned horizontally. Many surgeons practice the immediate placement of the implants in order to preserve the tissue optimally, to keep the architecture of the bone and finally, immediate provisionalization to support soft tissue. 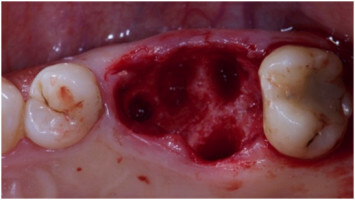 Contrary to this, a manifestation of the gingival recession was reported after the first yeas. 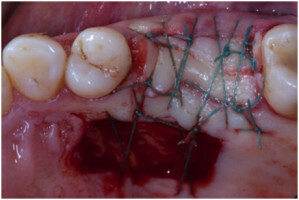 Just to solve this problem and at the same time to increase the thickness of the gingival tissues, medical practitioners decided to accept the suggestion of using connective tissue grafts which would be a perfect method for the preservation of the soft tissue levels. 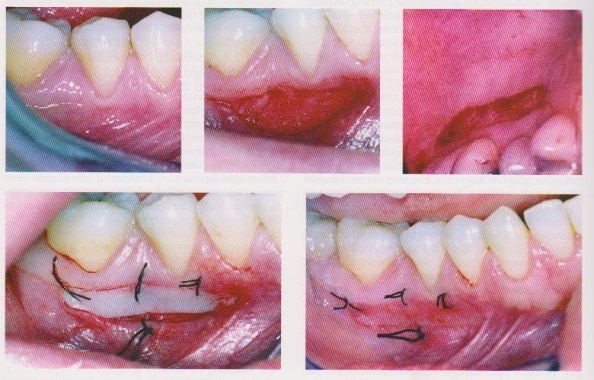 The preparation part of the recipient bed: This means that it is not necessary to always create a mucoperiosteal flap. In the case where connective tissue grafts are utilized, these are maintained on both sides simply by a mucosal graft. Graft insertion: It is important to know that the position of the graft is under the flap and also according to the deficit position. Graft fixation: In order to be stable, the graft could be sutured to the inside of the flap. The key point for all dental professional is to consider the periodontal biotype of the patient when choosing the proper soft tissue augmentation technique. The therapist should plan to achieve a sufficient amount of the keratinized gingiva and also a proper selection of the abutment. The periodontists use this technique to produce the coverage of the root at multiple adjacent gingival recessions which are related to gain in the CAL and also in the width of KT, and another point is for contours augmentation of the alveolar ridge. If it is used properly according to indications, these surgical treatments could give stable and many significant results in soft tissue volume which could contribute to the great aesthetic management. Connective tissue graft acellular dermal matrix in combination with an envelope flap or pouch (the well-known tunnel technique). This technique by eliminating the purpose of vertical releasing incisions optimizes the vascularity. It is a good choice to protect the papilla positional height. However, it makes the most vascular and optimal sub-gingival environment for the subepithelial or acellular collagen matrix grafts. It is utilized in the peri-implant tissue management. 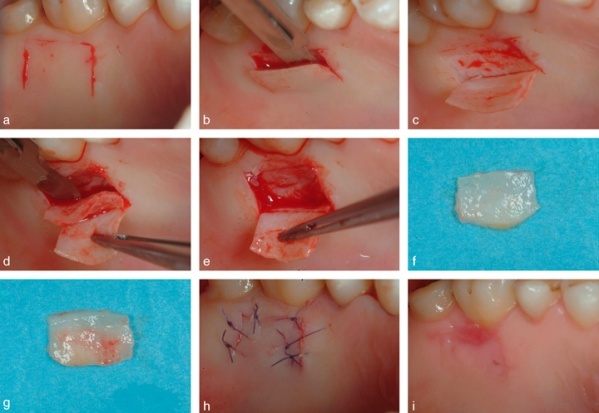 This technique of papilla regeneration helps in the recreating process of reproducible formation of tissue, similar to pre-existing interdental papillae. This technique could be performed in periodontal treatments to achieve augmentation of the attached gingival and also for covering the denuded surfaces of the root. 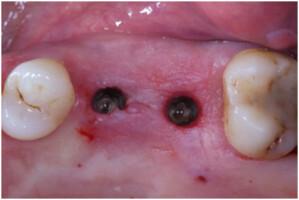 In the literature are presented few limitations of this technique such as the mal-alignment of mucogingival junction formation, the aesthetic mismatch, and the bulky appearance. The usage of autogenous FGG in the mucogingival procedures are found as an efficacious approach in order to augment peri-implant defects of the soft tissue. This technique especially used for increasing the amount of keratinized tissue around the area of the inserted implant. According to many studies, there is a significant interest in the usage of tissue engineered mucosal grafts in the dental field too. Mucosal grafts are created of cell sources which haven’t caused any acute or chronic tissue condition. They have potential to re-grow and also differentiate to a new type of tissue. With the rapid advantages of the duplicable tissue engineering techniques, these mucosal grafts or substitutes seem to be equivalent to be a new hope for regeneration in the procedures of lost tissues, tissue repair, defects of the soft tissue which are caused by trauma, aging process or some diseases. The introduction of mucosal grafts which are consisted of the structured triad of cells, scaffold, and signaling molecules can be presented as the culmination of the periodontal regeneration treatments.